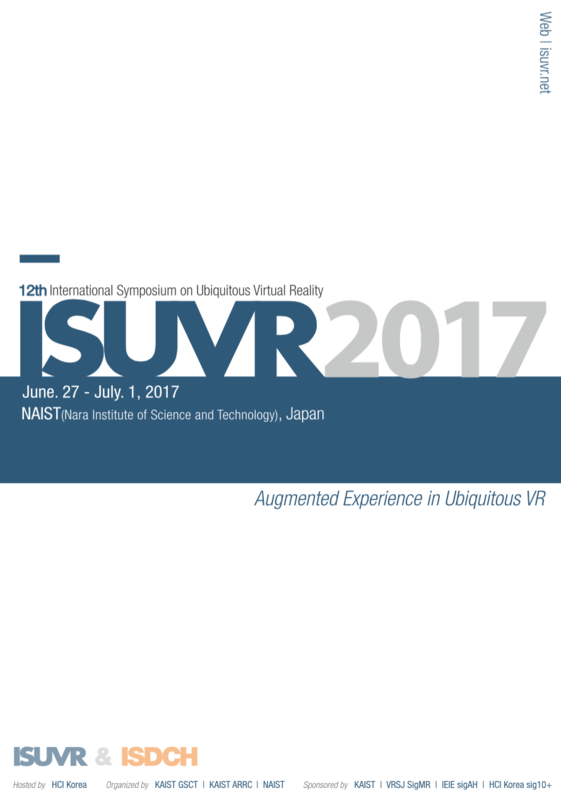 International Symposium on Ubiquitous Virtual Reality (ISUVR) is an international symposium for emerging new paradigm on virtual reality in ubiquitous computing era, which accelerates the convergence of multidisciplinary technologies to enrich the quality of user experience. This year, we discuss and share ideas on “Augmented Experience in Ubiquitous VR" which combines various AR/MR/VR related technologies to enhance human’s ability. The registration starts at 14:00 on the next Tuesday (June, 27th). It is changed from 12:30 to 14:00 as the lab tour schedule is rearranged. Please check the program schedule, and don't miss the registration and opening ceremony. Thank you for participating to ISUVR and I hope to see you soon.